new “coordinated entry” system that prioritizes the most vulnerable residents for available housing and improves coordination among homeless services providers. The just-adopted FY 2017 budget will help 566 more homeless individuals move into housing. While this is great progress, it is not enough to end chronic homelessness by 2017, the goal set by the District’s Interagency Council on Homelessness. More than 900 chronically homeless residents will remain without housing next year. Given that these are among our most vulnerable residents, the District should do all that it can to set a realistic implementation plan and budget to end chronic homelessness by the end of 2018. Chronically homeless adults are residents who have been homeless for a long time and struggle with severe, chronic issues like mental health issues and substance abuse. People who don’t know where they’re going to spend the night struggle to receive medical treatment or counseling. And often they must stay in places that make their illnesses worse, or do not keep them safe from violence. This leads to a life cut short. Chronically homeless individuals have an average life expectancy of 62. On the flip side, we know that helping people who are chronically homeless improves their stability and health — and leads to tremendous savings. A Seattle study found that permanent supportive housing saved the city almost $30,000 per person, per year. The recent important progress shows that the District has the tools to eliminate chronic homelessness, and just needs more resources. Although the DC budget for 2017 was just adopted, DC’s leaders should start planning now for the 2018 budget, to ensure that it devotes enough funding to help all chronically homeless adults move into their own homes. 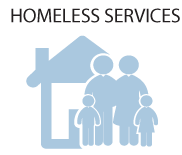 Last week’s blog on family homelessness has been updated with more recent data, showing that the District has made more progress on reducing the number of families entering shelter. Read the updated blog here. Kate Coventry is a DCFPI Policy Analyst and voting member of the District Interagency Council on Homelessness. To print a copy of today’s blog, click here.